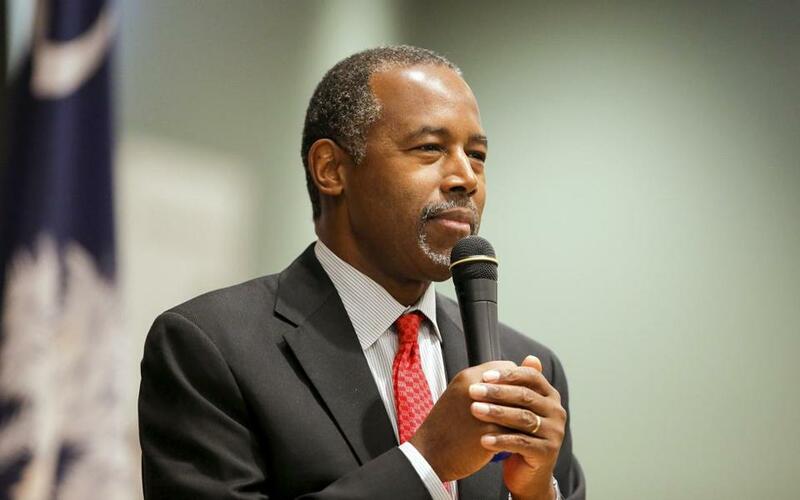 Ben Carson spoke at a campaign stop in Fort Mill, S.C., earlier this month. I HAVE SPENT nearly my entire adult life within the American health care system as a physician, a neurosurgeon, and the chief of pediatric neurosurgery at Johns Hopkins Hospital. I have learned that the needs of each patient are unique. Any broad government mandate, however well-intended, can cause a cascade of effects that reduce the quality of care patients receive. Obamacare has proven to be no exception to this rule. Since the implementation of Obamacare, Americans have seen health care premiums skyrocket, choices diminish, and quality of care reduced. Medicare and Medicaid enrollees have been relegated to a two-tiered health system in which doctors are harder to find and waiting periods grow longer each year. This is not a health care system worthy of the greatest nation on earth. We must repeal and replace Obamacare with a system that empowers the American people with control over their own health care. My health care plan will establish Health Empowerment Accounts, or HEAs — a new and expanded version of Health Savings Accounts — that will be available to anyone with a valid Social Security number. These accounts will be owned specifically by the individual and not by the government or large corporations. The accounts will also remain with the owner through job changes or state-to-state relocation. HEAs will be created for every child at birth and are freely transferable from one family member to another. This system will enable Americans to build their own health accounts and grow them through a lifetime. Now that the Supreme Court has upheld the federal subsidies, now’s the time to focus on improving the ACA. Read: Q&A: Vote all you want. The secret government won’t change. Combined with high-deductible major medical coverage, HEAs will ensure that all American citizens have the ability to make health care choices that meet their individual needs, while also protecting them from the potential costs of major health problems and hospitalizations. Additionally, instituting HEAs within Medicare and Medicaid will greatly reduce the financial burdens that currently threaten the long-term solvency of these services. 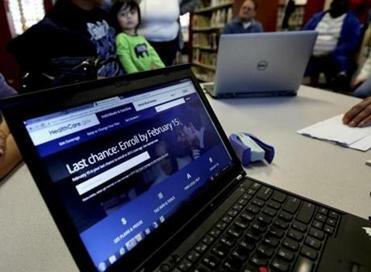 Already, Obamacare has placed a tremendous strain on both Medicare and Medicaid. Medicare patients have seen a major reduction in the choice of doctors. For example, Centers for Medicare and Medicaid Services has reported that almost 10,000 doctors opted out of Medicare in 2012 alone — a figure that is triple the number in 2009. Meanwhile, Medicare has grown in an unsustainable manner, with expenditures now topping $613 billion. These costs will only continue to grow in the years ahead as people live longer and as newer, more expensive medical advances emerge. If we are to keep our promise to current and future Medicare beneficiaries, we must modernize, not eliminate, the system. Medicare must reflect the medical advances that have increased American lifespans, while empowering beneficiaries to choose which health options are best suited to their individual needs. My plan will ensure a defined, fixed contribution to the private health plan of a Medicare enrollee’s choosing. If the plan’s premiums are less than the fixed contribution from Medicare, the entire difference will be paid directly into the individual’s HEA. Conversely, if the beneficiary chooses a private plan whose premiums are higher than Medicare’s fixed contribution, the individual will be allowed to use funds from his or her HEA, tax-free. Furthermore, to keep pace with the extended average American lifespan, the age of Medicare eligibility will be increased by two months each year until it eventually reaches age 70, at which time it would be indexed to keep pace with life expectancy. These reforms will ensure that the current and future generations of seniors have a health care system that works for their needs, not the government’s. Medicaid enrollees have not been spared from Obamacare’s doctor shortages either. The percentage of doctors who closed their practices to Medicare or Medicaid patients increased almost 50 percent between 2008 and 2012. Instead of Obamacare’s parallel, two-tiered system that channels low-income persons into substandard traditional Medicaid, my plan creates a bridge that will enable enrollees to obtain the same private health insurance that other Americans enjoy, with the same choice of doctors and hospitals. Medicaid will provide fixed-dollar support to the states, which must use the funds for insurance premium payments and to seed HEAs for the enrollees. By expanding HEAs and high-deductible major medical coverage, my plan returns money and decision-making where it belongs — to the hands of American patients and their doctors. Consumers will have more choices, lower costs, and a higher quality of care. At the same time, Medicare and Medicaid enrollees will have equal access to the same doctors and hospitals as the rest of the population. My plan puts faith in the American people, not a massive, faceless bureaucracy. Dr. Ben Carson is a Republican candidate for president.